On 14 July 1991, a Southern Pacific freight train derailed at Cantara Loop, CA, where the SP mainline crosses the Sacramento River on a sharp corner. A tank car loaded with metam sodium, a relatively unknown chemical until then, ended up in the river, releasing all 12,000 gallons into the river. The resulting spill wiped out all life in and along the Sacramento River for 42 miles below the spill site. The communities surrounding the spill site were hurt tremendously, but none more than Dunsmuir. The SP led an effort to re-build the local communities. 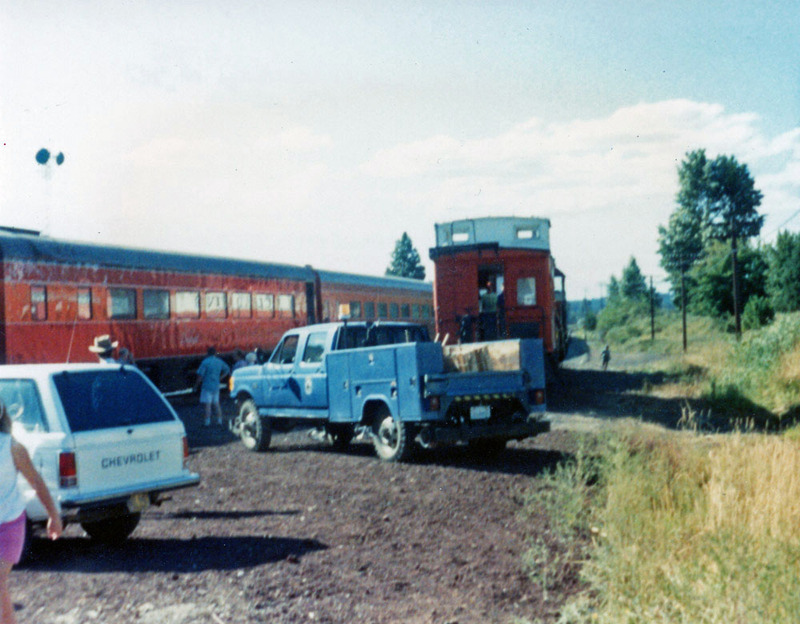 One of the moves they did was to bring the former SP steam locomotive #4449 down from Portland to run three days worth of excursions between Redding and Mt. Shasta City over Labor Day weekend. All proceeds from the trips were given back to the affected communities. Mt. Shasta City was to be the northern terminus for the trips, and all passengers would be let off there to wander around the town while the train traveled north to Black Butte to be turned on the wye. 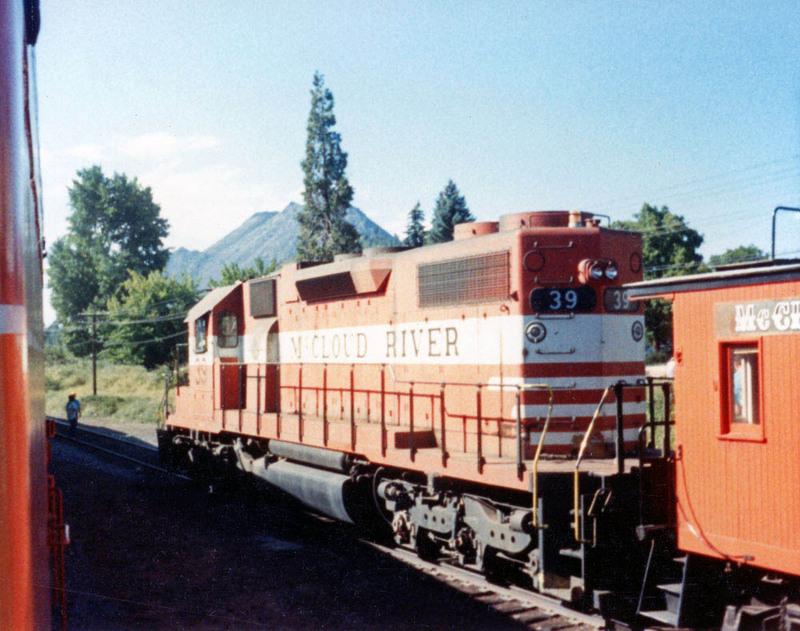 The McCloud River Railroad set up a small display consisting of locomotive #39, the VIP caboose, and a hi-rail pickup in the Mt. Shasta City yards, and the president of the McCloud River was on hand to welcome people to the caboose and answer questions about his railroad. 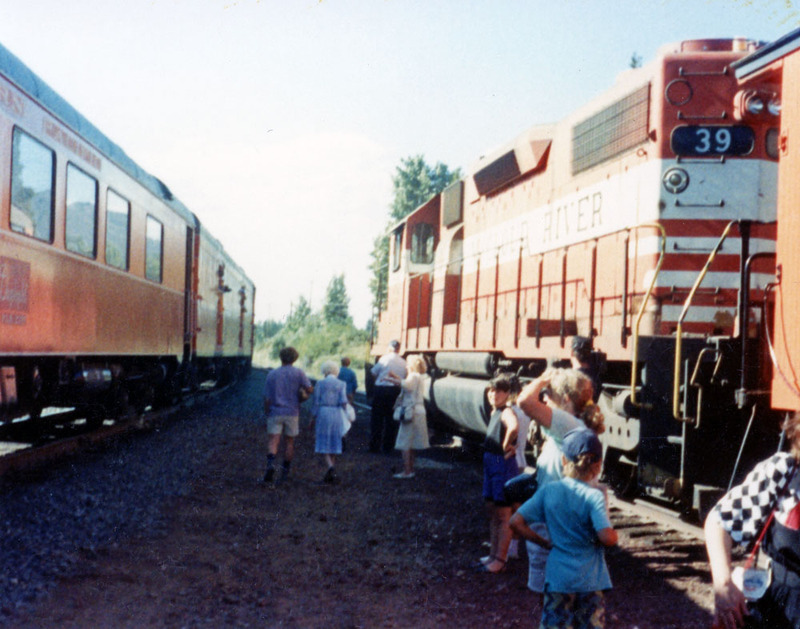 The special excursion train is seen here adjacent to the McCloud display train. The #39 was part of the display train.